Over the past three years, the AQUACROSS Assessment Framework was developed, tested, and applied in eight case studies across Europe to solve local biodiversity challenges. Finally, results from each Case Study were published in a 30-page case study report and 3-page executive summary report. The case study is available for download. The North Sea is one of the busiest seas with many (often growing or newly emerging) sectors laying claim to a limited amount of space. The main human activities include fishing, shipping, oil and gas extraction, and newly emerging activities such as the renewable energy sector. These combined human activities and their associated pressures on the environment have hindered the achievement of the ecological goals for the North Sea (Knights, 2011; OSPAR, 2010; EEA, 2015). In line with the European long-term Blue Growth strategy to support sustainable growth in the marine and maritime sectors, many of these activities, such as offshore wind farms (OWFs), are expected to increase and potentially further impact marine biodiversity and the ecosystem services it provides. Management of often multiple competing interests is complex and requires novel, more integrated approaches such as Maritime Spatial Planning (MSP) or Ecosystem-based Management (EBM), which come with additional requirements to the scientific knowledge base. This study aims at identifying the requirements of the North Sea scientific knowledge base to provide better guidance for such novel, integrated and more ecosystem-based management approaches. The case study [pdf, 1.9 MB, English], as well as the summary [pdf, 568 KB, English], are available for download. Piet, Gerjan et al. 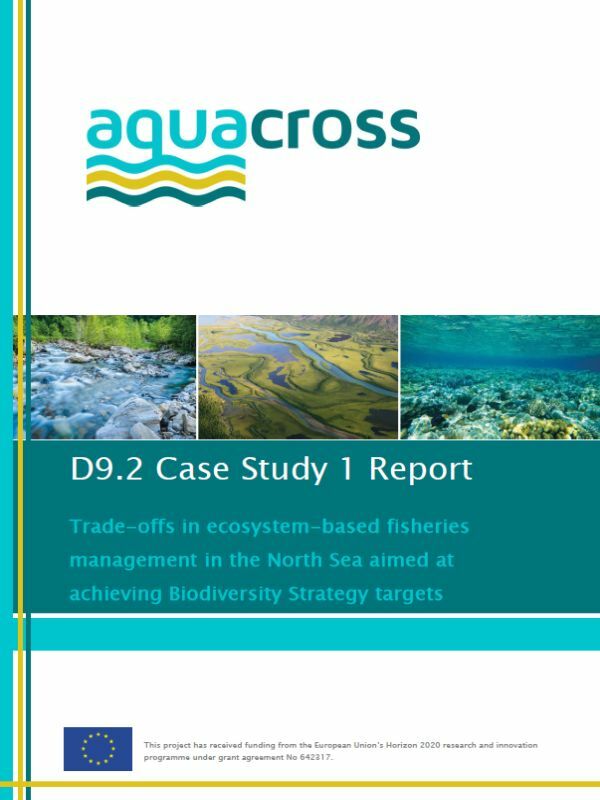 2018: Case Study 1 Report: Trade-Offs in Ecosystem-Based Fisheries Management in the North Sea Aimed at Achieving Biodiversity Strategy Targets. WUR: Wageningen.